The Gulf Coast of Florida, with its gorgeous, sugar-white sand and warm, Gulf of Mexico water, which can vary in color from the darkest aquamarine to the palest peridot, will not only provide you with amazingly beautiful photos, but is also a wonderful vacation destination. 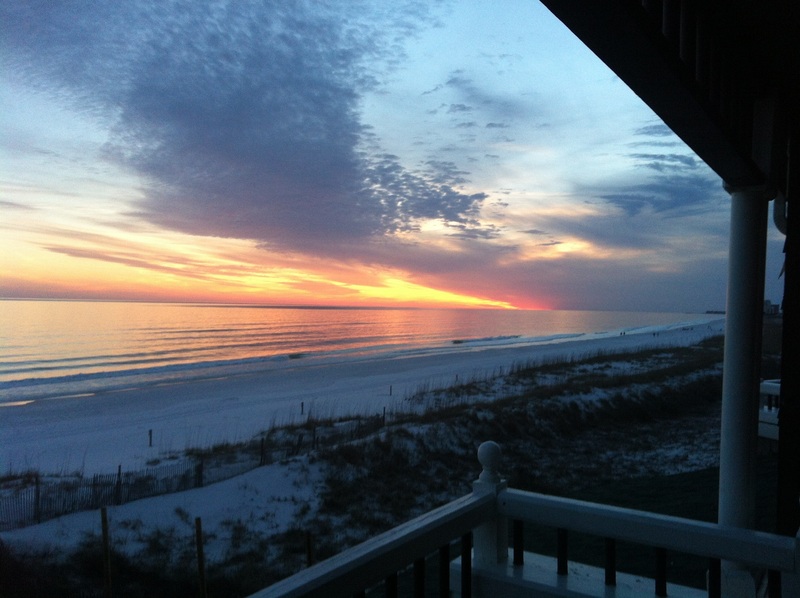 The area runs all along the Gulf coast, through several southern states, is truly lovely and offers a wide array of lodging options, entertainment choices and great local dining. 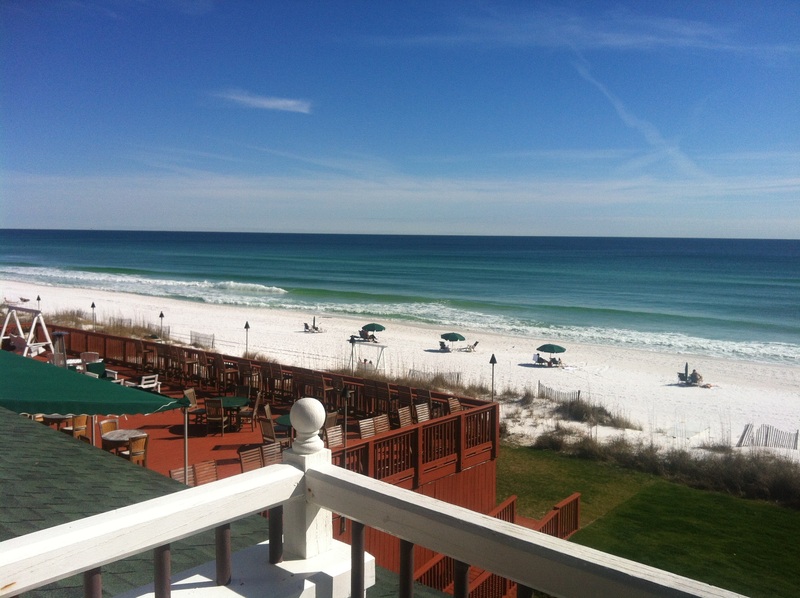 One of my favorite places is Destin, Florida. 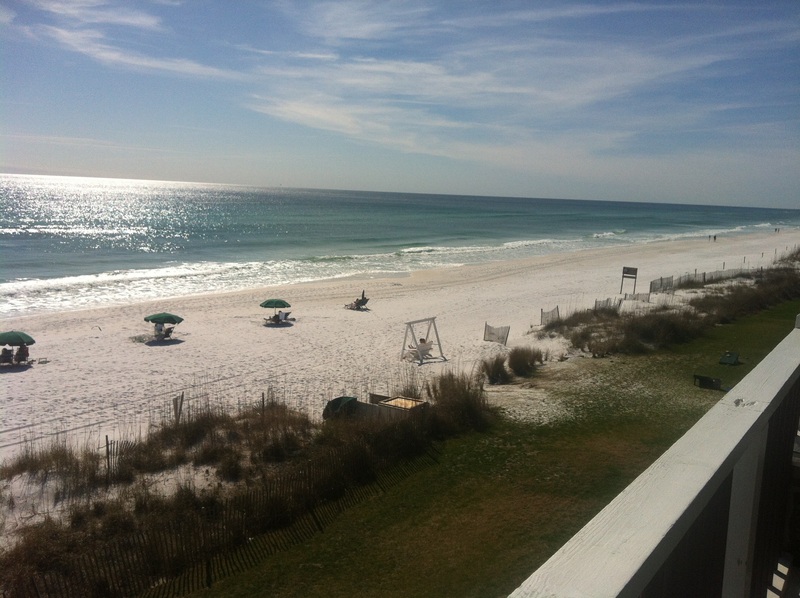 Because I have visited Destin several times, I am familiar with many of the various accommodations, from rental beach houses to full service condos to luxurious resorts. 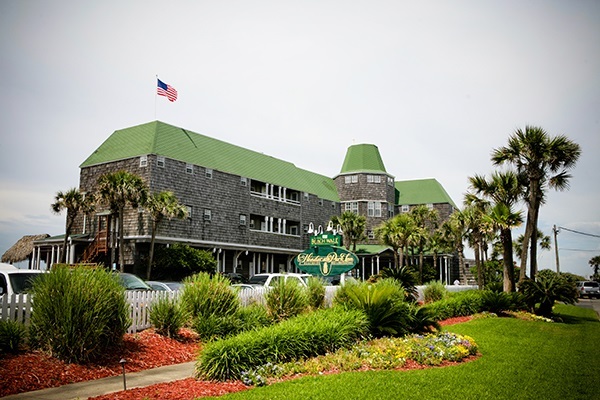 But hidden away at the very end of Scenic Highway 98 which runs right beside the beach, is the idyllic Henderson Park Inn, which would be my best suggestion for a luxurious place to stay. A truly beautiful place, the Henderson Park Inn will remind you of a charming New England inn, with its gray cedar shakes, lovely wooden floors, oriental carpets and luxurious furnishings. All of which makes perfect sense because Bill and Steve Abbott, the original designers, grew up in Maine and were very fond of the New England hotels where breakfast and lunch were provided, and no service was spared for the guests’ relaxation and enjoyment. 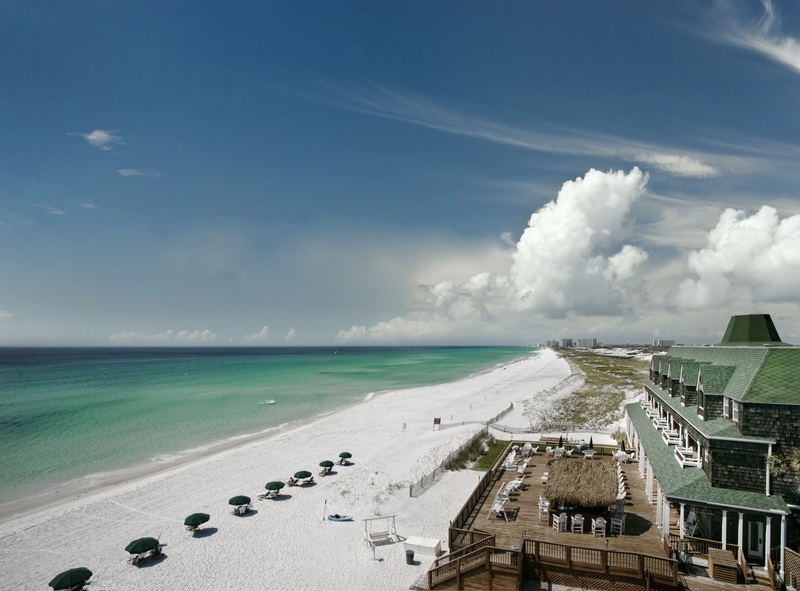 For adults only, which provides a tranquil and lovely experience, the inn boasts the best beach location in all of Destin because it is situated right beside Henderson Beach State Park, with an extra 6,000 square feet of pristine beach with no buildings of any sort to block the view. 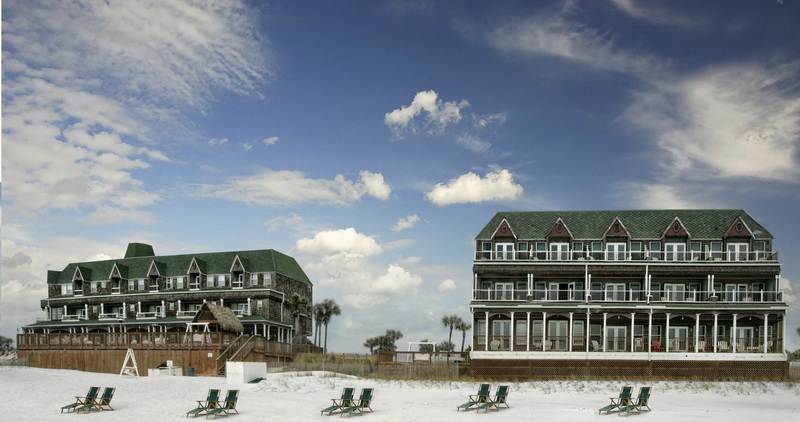 This means that guests at the inn have access to one of the most unspoiled views of the Gulf in either direction, and miles of empty beach, where you can settle into your beach chair and be the only residents as far as you can see, except for seagulls, sandpipers and whatever sea life exists under the crystalline waves. This unending vista of beach is particularly gorgeous at sunset, although the view can’t be beat at any time of the day. 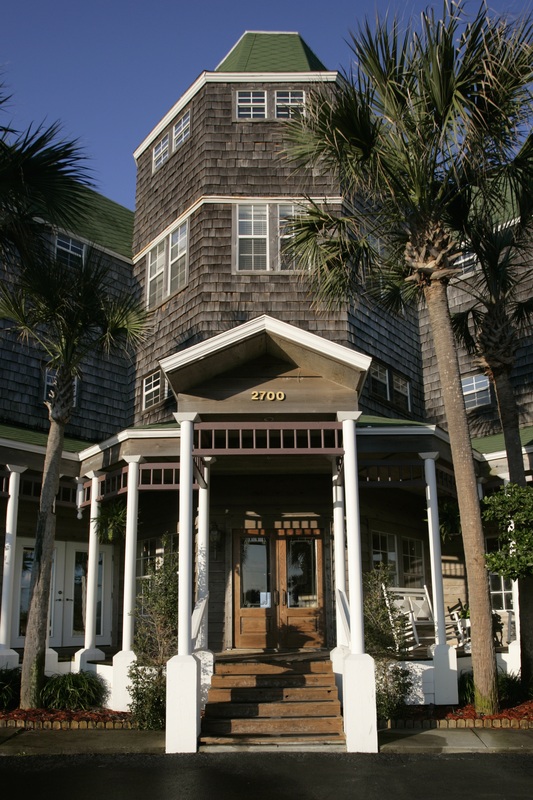 With a wide variety of room sizes and types, most with amazing beach views, the inn can accommodate couples, groups of friends or families of adults. For a truly exquisite experience, arrange a stay in the Presidential Suite, which has a separate living room with a flat screen television, fireplace, dining table, office area with a big desk and a fridge filled with complimentary drinks and candy bars. On my first visit, I stayed in the Presidential Suite, and it was an experience like no other. You know when you arrange a stay in a suite that it will be a very nice experience, but a stay in the Presidential Suite at the Henderson Park Inn is far from a very nice experience; it is truly a superb experience. The double doors made of a dark, gorgeous wood with a small and tasteful brass plate reading “Presidential Suite” provide your first clue that you are entering a unique space. 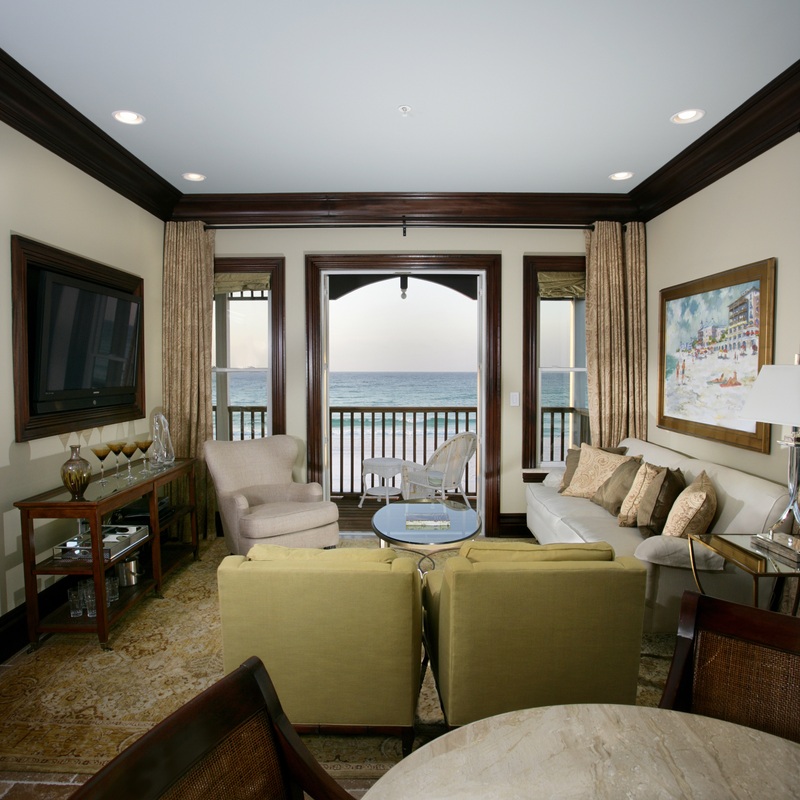 Open the doors to a huge, sun-lit room filled with gorgeous, comfortable furnishings, and, through the French doors, you will see your private wooden deck, furnished with outdoor furniture, which overlooks the beautiful beach area stretching off into the distance. The bedroom has a huge king-size bed and plenty of space to sit and read or just enjoy your beach view through the second set of French doors, which open to the long deck or relax and enjoy the second television. A bottle of wine, grapes and fresh flowers were provided the first day of my stay, an amenity which the Henderson Park Inn provides to all their guests. The amenities at the inn are some of the most extensive I have had during all of my travels. Free bikes to use during your stay, complimentary beach towels and beach chairs and umbrellas (which they will insist on setting up for you), free Wi-Fi and free DVDs to borrow and watch on the DVD players provided in every room, afternoon lemonade and cookies, and free bottled water, soft drinks and candy bars in a lobby fridge (if you are not in the Presidential Suite with your own stocked fridge!) are all added amenities. In addition, the Beachwalk Cafe at the inn provides a daily hot breakfast; it includes an omelet bar, freshly made waffles, beautiful fresh fruit and some of the most marvelous, freshly baked raspberry and white chocolate scones I have ever tasted. However, the inn not only provides an amazing breakfast, they also prepare a box lunch for every guest daily. Just stop by the lobby desk and tell them what you want to have for lunch. I recommend the Roast Turkey Aioli: a roast turkey sandwich on toasted multi-grain wheat bread with provolone cheese, tomato, lettuce and a creamy aioli garlic sauce, along with a bag of chips and a pickle. You can eat in the dining room overlooking the beach or just grab a drink from the fridge and take your lunch right out to the beach — which is what I recommend. After a day of relaxing on the beach, you might not be inclined to go to all the trouble to leave the inn to find a restaurant, and that would be no problem, because the Beachwalk Café right in the inn is a fabulous place to have dinner. 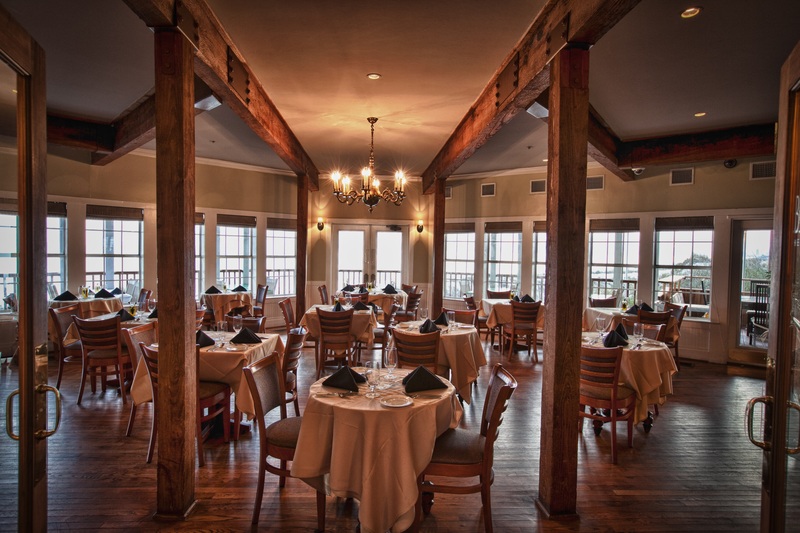 Located in the beautiful, hardwood-floored dining room, with huge windows overlooking that incredible Gulf view, it’s a lovely place for dinner, and the food is wonderful. 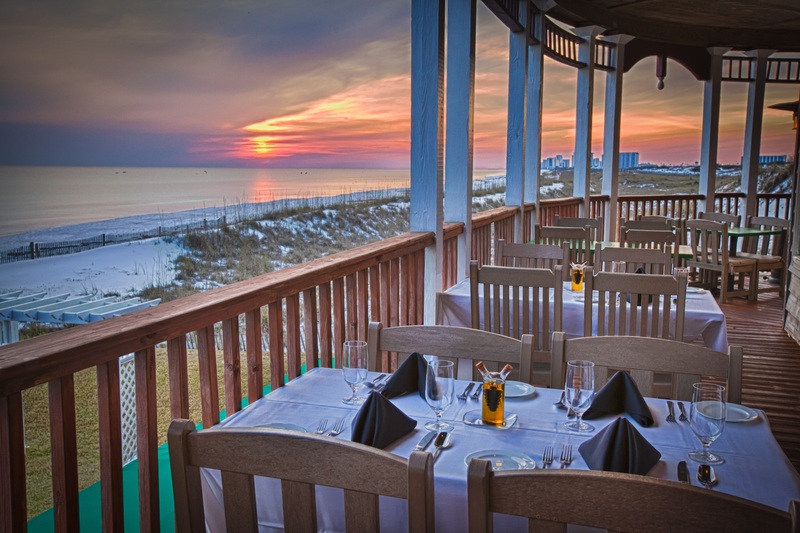 You can even choose to eat on the inviting veranda area and enjoy the warm Gulf breeze. Make sure your reservation is at sunset because you will see some of the most amazing sunsets here. The Henderson Park Inn will even arrange a candlelit dinner on a table they set up right on the beach. Can you ima gine a more romantic dining experience? Try the unique Caesar salad which comes wrapped in prosciutto, the delicious crab cakes and the scrumptious and crunchy egg rolls. One of their signature dishes is the Grouper Vince, a pecan-crusted local grouper, oven roasted, crispy mashed potato cake and a honey-Worcestershire sauce with chives. 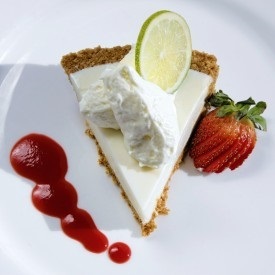 And you can’t leave without a piece of their heavenly Key Lime Pie! After dinner, pick up a DVD to watch, head back to the Presidential Suite and just relax, knowing that because you were smart and arranged a long visit, you have another wonderful day at this truly exquisite location!